According to the U.S. News and World Report, an average American spends nearly a year of his/her life looking for misplaced items in his/her wardrobe. At times, keeping your house neat, organized, and attractive can seem like an extremely challenging task, more so if you are a devoted follower of the latest fashion trends. One way to make this chore effortless and interesting is to infuse vintage elements into your wardrobe, making it functional and attractive altogether. Vintage is always in fashion as it brings in an old-world charm in the modern-day cluttered environment. Moreover, it is extremely easy to get the vintage look as it doesn’t necessarily involve investing in high-end antiques and limited-edition items. Numerous flea markets, thrift stores, and antique shops offer unique vintage pieces that can be used to store and organize your closet in an attractive manner. If you want to give your wardrobe a charismatic makeover, look for vintage elements that will add a familiar lived-in appeal to your storage space. Here are eight tips to organize your wardrobe in the vintage style, giving it a dash of whimsical eccentricity and sophistication. Consider the various elements that go on to complete the ideal vintage look. You can identify a vintage style using three primary features, namely the nostalgia, the perception of age, and the visual style. The vintage home décor revolves around luscious and surprising combinations of materials and colors that can be combined with the modern interior design. Vintage closets are designed in an old-fashioned and regal style with intricate wood carvings, gold-painted edges, rustic handles, large drawers, forged antique keys, and elaborately-framed mirrors. Other elements such as vintage clothes hangers, wooden valet stands, antique metal or wooden hooks, wooden chests, and straw baskets can render a special retro charm to your closet. Research on how you can mix the modern design features with the Victoriana, the Gothic, the Baroque, and the Art Nouveau vintage styles to create an attractive and organized closet. Visiting antique shops and garage sales will give you multiple ideas on how you can infuse a vintage look into your wardrobe. Numerous websites, blogs, and magazines offer creative ideas on getting the ideal vintage look. Before you begin, consider researching well and noting down the aspects that appeal to you. Closets hold everything from your favorite dresses or shirts to your daily essentials such as scarves, belts, and ties. 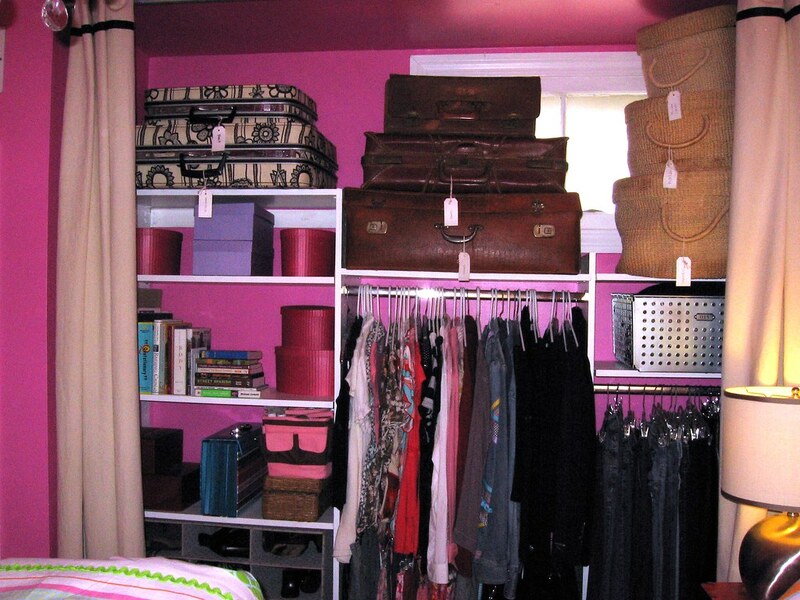 Organizing your closet makes dressing up easy and fun. Therefore, it is crucial to consider your storage requirements, the space available, and the cost of setting up the closet before planning the right closet for your room. Since you are going the vintage way, plan plenty of space for all those stylish garments and accessories you own. Start by adding plenty of hanging space and installing shelves at the top to hold fashion accessory baskets and hat boxes. Determine your storage needs and modify your closet to use the available space in an efficient manner. Human beings have always depended clothes hangers to organize their clothes and make space for more. Closets with multiple bars for hanging clothes and accessories enable you to save space and make your wardrobe look neat. Investing in multiple vintage clothes hangers will help sort out your closet, giving it a classy appeal. Consider purchasing less bulky vintage clothes hangers that can fit in all your clothes on the bar. Women can invest in a few frilly and padded hangers with floral prints that have been in vogue since the 1980’s. Vintage clothes hangers with clips are ideal for hanging skirts and trousers. Men can consider investing in a wooden or brass valet stand that fills the interiors with a vintage look and offers abundant space for hanging coats and shirts. A typical decorative clothes valet will have additional features such as a set of vintage clothes hangers, shoe bars, and tray organizers. Vintage garments need extra care especially when your wardrobe is full of delicate items such as lace dresses, stockings, and camisoles. Padded hangers work best for these garments as they keep your these garments safe from any damage. Use matte or wooden hangers for jackets, coats, and blazers. These can also be hung on a brass or wooden wall-mounted coat rack, enhancing the retro appeal of your wardrobe. Try color-coding your wardrobe to help you locate your clothes easily. The inside of any closet usually has a single rod that extends along the width of the shelf, enabling you to hang your clothes and accessories on it. Installing additional rods will double up your storage space, making your closet look organized and neat. If you are planning to invest in an armoire or a closet, look for a well-crafted piece of furniture that offers plenty of hanging area and sliding shelves or drawers that can provide you ample of storage space. Store your classy stilettos, wedges, Gladiator sandals, and platform pump shoes in boxes, cubbies, tiered shelves, and/or hanging organizers. 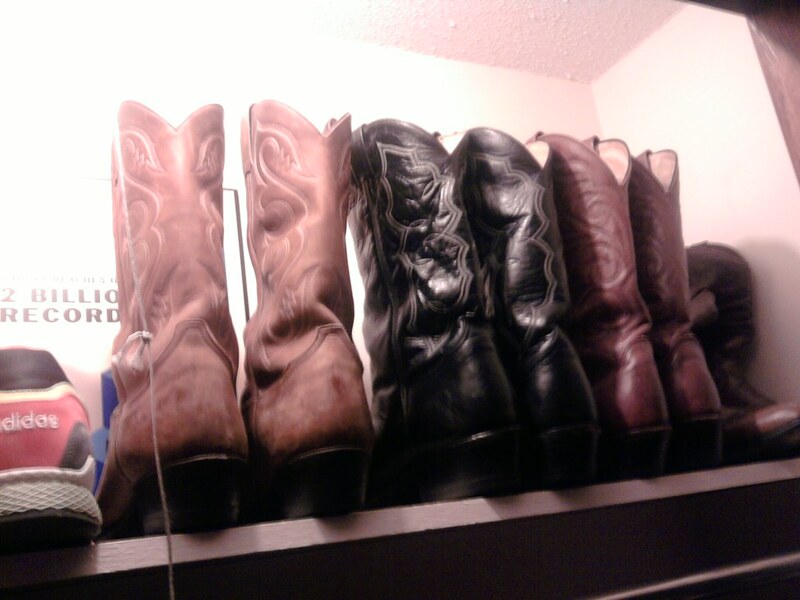 Boots, formal men’s shoes, and ankle boots demand special care and occupy a lot space; therefore, it is wise to place them on the top shelves. Sandals and sport shoes can be placed in storage bins or straw baskets. You can also invest in an antique shoe rack to access your footwear easily and retain a vintage look in your room. Neatly-labelled and stackable storage organizers can easily accommodate a range of accessories such as jewelry, brooches, shawls, scarves, hair bands, belts, ties, hats, and bags. Boxes with compartments and dividers for drawers will enable you to store your ties, cufflinks, undergarments, and handkerchiefs with ease. Use vintage jewelry hooks and boxes to organize your ornaments and fashion trinkets. Hooks work well for petite closets, enabling you to keep your bracelets and chains untangled and in good condition. Intricately-carved hooks can give your wardrobe interior a rustic appeal and create extra storage space for most of your accessories. Hats often demand a higher level of care as anything pressing against them can spoil the shape of their crowns. A smart way to store your hats is to nest several hats on a stack. Vintage hat boxes too can protect your hats from dust and damage, adding a touch of sophistication and elegance to your wardrobe at the same time. Handbags and satchels are often bulky and at times fragile; therefore storing them safely can be a conundrum. Hooks and vertical bag organizers enable you to store multiple bags within a limited area. You can also use cubbies and storage bins to stack them on the uppermost shelves of your wardrobe. Attractive accessories can be used as items of interior decoration too. Place decorative hats, antique brooches, silk scarves, hats, sunglasses, and necklaces on a mannequin to give your wardrobe a vintage look. If you own delicate vintage-style sweaters and cardigans made of cashmere and angora wool, avoid hanging them in your wardrobe as they may stretch, damaging the fabric and the overall look of these garments. Woollens must be folded and stored in vacuum-sealed bags in order to keep them safe and in good shape. However, these garments consume a huge amount of space in closets and if you are tight on shelf-space, consider placing them in an antique chest, a trunk, or an old-fashioned suitcase. Chests add a unique vintage flavor to the interior décor and offer a lot of storage space. Aim at giving your wardrobe an old-fashioned, yet classy look. A vintage wardrobe welcomes natural materials such as wood and metal. If you already own a closet, paint it with low-key pastel colors, namely beige, gray, sand, aquamarine, or cream to make it look elegant. You can also polish your wooden closet and add a few vintage door knobs, handles, and large mirrors to enhance the overall appeal of your wardrobe. Large closet mirrors on bifold doors are a classic feature of vintage closets. Make sure you incorporate these aspects when redesigning your wardrobe. If you are considering investing in a new wardrobe, visit a local flea market, a garage sale, or an antique shop and look for closets with forged elements, wood carving, and bronze or brass fittings amongst the other features mentioned above. Abrasions, cracks, and chips on the surface of furniture give them a ‘legacy look’, as if they were inherited it from ones forefathers. If your closet has a rough texture, just leave it there for an historic look. 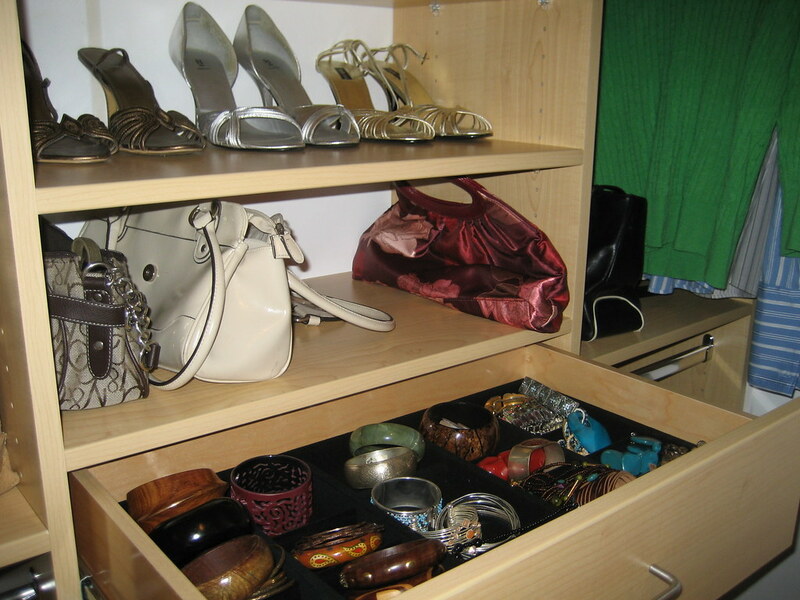 Wardrobes can accommodate an array of random belongings from your clothes to accessories. Consequently, it can be tough to organize all these items in the available space. Give your closet an interesting look by adding useful and ornamental vintage elements to it. Use your creativity and the aforementioned tips to infuse a vintage look into your wardrobe, giving it a trendy and organized appeal.